This growing cohort requires a unique set of learning and development programs in order to engage with your organization and lead it into future success. 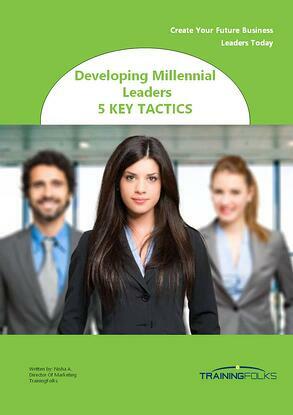 Download your free eBook on 5 Tactics to Developing Millennial Leaders created by the global training experts at TrainingFolks today. Get in touch with TrainingFolks for your Millennial leadership development needs today.